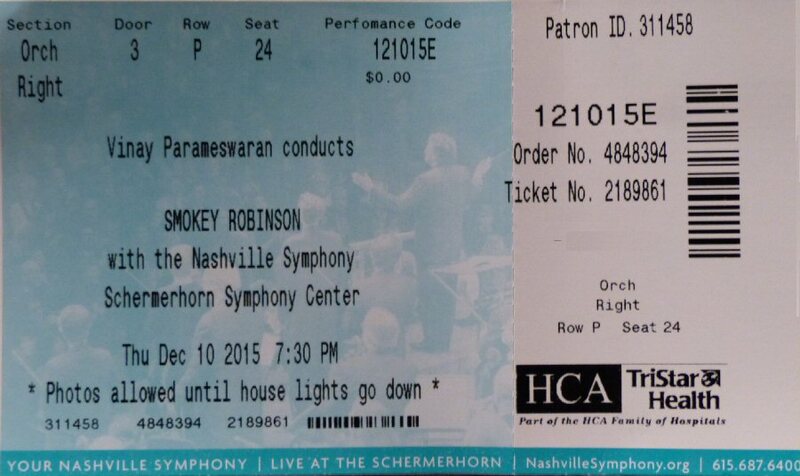 R&B legend Smokey Robinson joined the Nashville Symphony for a two night engagement at the Schermerhorn Symphony Center in Nashville, Tennessee on December 10th and 11th, 2015. Smokey Robinson has numerous awards, hits and honors to his credit. Smokey started out singing with The Miracles when he was still in high school. At that time he also encouraged Berry Gordy to start Motown Records. It was Robinson who penned “Shop Around” (1960) the label’s first number one song – just one of many that Smokey wrote. Robinson enjoyed much success as an R&B artist with The Miracles but switched gears in the early 1970’s to become Vice President of Motown Records where he served as in-house producer, talent scout and songwriter. Over the decades Smokey also released his own music and he still tours regularly delighting audiences with his high tenor voice paired with perfect timing. 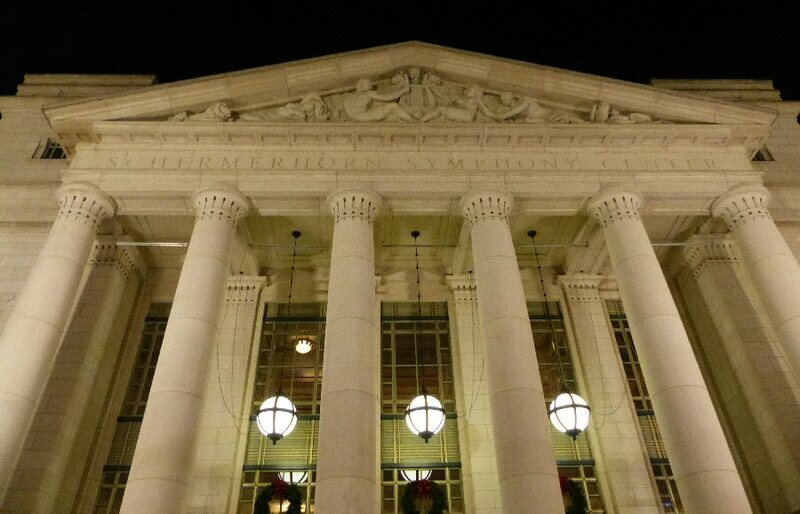 The Schermerhorn Symphony Center is an elegant theater both inside and out. A stately pipe organ stands behind the stage and the acoustics in the room are superb. On Thursday night the orchestra performed first presenting three holiday classics. They started with a spirited “Sleigh Ride” with the bells crisply ringing throughout the venue. “The Christmas Song” and “Winter Wonderland” were winners with a warm mix of horns and strings. The orchestra stayed to support Smokey for part of his set. Smokey’s eight-piece band along with two dancers all smartly dressed took the stage before Mr. Robinson emerged looking dapper in a dark suit but most importantly still in amazingly good voice. Throughout the show Smokey strolled the stage, danced and sang. He was charming and on a number of occasions flirtatious. With over 4000 songs attributed to him, Smokey had plenty of music to choose from. “I Second That Emotion” showcased his still smooth vocals as did “You Really Got A Hold On Me”. The orchestra added layers to his lively Motown sound. Smokey slowed it down for the sweet and sorrowing “Ooo Baby Baby” where Robinson held a series of long notes. “Thank you so much you’re beautiful,” greeted Smokey who said “it was good to be back here in such a beautiful place.” Robinson reminisced about his early days on the road with other acts such as The Temptations. This flowed into a Motown medley of “The Way You Do The Things You Do”, a rousing “Get Ready” and a glowing “My Girl” all enhanced with layered elements from the orchestra. Smokey spiked his show with humor and stories. He mentioned that Stevie Wonder had come to him at a Christmas party with part of a tune. Stevie wanted Smokey to work on it immediately. Robinson joked that Stevie offered to drive him home so he could get started. He further jested that Wonder drives fast. A women in the auditorium exclaimed “he does?” perhaps she did not know Stevie is blind or was so caught up in Smokey’s comical commentary regardless Robinson got quite a laugh out of that before playing a crowd pleasing “The Tears of a Clown”. Robinson shared with his fans that he is having the time of his life. The hits kept on coming concluding with a moving “Track of My Tears”. “Cruisin” the encore was expanded for solos, dancing and crowd participation. Smokey chose two ladies from the audience to head up teams for a feel good contest based on cheers. It was an amusing way to ensure that the fans left his concert feeling good. Smokey Robinson was the perfect showman able to work the stage, sway to the music and sing like he was still a teenager. The man and his music are timeless. 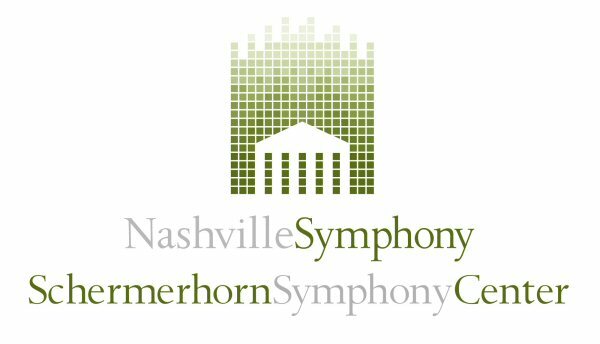 The mission of The Nashville Symphony is to inspire, entertain and educate through excellence in musical performances that go beyond classical as in the case of Motown legend Smokey Robinson. Upcoming events at the Schermerhorn include Dave Barnes, Handel’s Messiah, a Holiday Sing-Along and India Arie. It doesn’t get much better than a night at the Symphony in Nashville.